begins to shake. What’s with this rock? repente, la piedra empieza a temblar. ¿Qué hay con esta piedra? Un gallo llamado Rooty ignora a un nuevo pollito porque lo encuentra aterrador y asqueroso. El pollito, un BUITRE, se esfuerza por ganarse el corazón de Rooty y una vez que lo consigue, Rooty lo invita a acompañarlo en una sesión de canto en el techo del granero. The story is about a little bunny who loves to tease his older brothers. He goes off into the woods by himself and boasts that he’s not afraid of anything. One night, he hears a loud roar in the house. 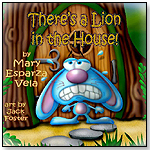 He runs to tell his brothers that there’s a lion in the house but they ignore him. The story is humorous and entertaining. 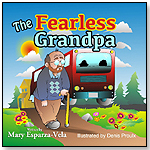 This is a story about a little girl’s love and admiration for her Grandfather who proclaims that he is not afraid of anything. One evening during story time, a tiny mouse crawls under his shirt. His reaction makes the child aware that her Grandfather is afraid of something after all. But it is not a huge letdown. It is a fact of life that she accepts with humor. 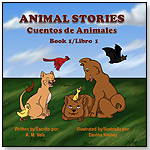 Book contains four children’s stories written in English and Spanish. Each story has a lesson at the end. A catfish sits at the bottom of the ocean. He is sad because he has no friends and no one to play with. A group of fish arrive one day and begin to poke him and tease him. Can the catfish win them over? 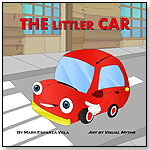 A little car named Marvin wants to join a car club but the big cars reject him because of his size. After one of the cars gets stuck in the mud, Marvin comes to his rescue. Will this good deed finally lead to his acceptance? A baby hippo looks at his reflection in the water and notices a missing tooth. He runs around asking all his friends if they have seen his tooth but they only talk about their own teeth. 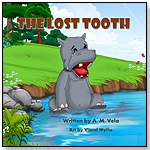 Will he ever find his tooth? Un pequeño hipopótamo mira su reflejo en el agua y nota que le falta un diente. Corre por todo el bosque preguntando si alguien ha visto su diente pero sus amigos sólo hablan de sus dientes. ¿Encontrará su diente? A bald eagle hunting for prey has problems with his eyesight. He visits an old, wise owl who tells him that he must wear a patch over his good eye to make the weak eye stronger. Unfortunately, the eagle can’t get used to the eye patch. Un águila buscando que comer nota que tiene problemas con la vista. 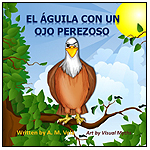 Visita a un tecolote sabio que le recomienda usar un parche sobre el ojo bueno para mejorar el ojo débil pero el águila no puede acostumbrarse a usar el parche. 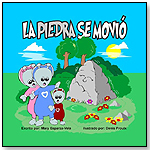 Deluxe puppet book includes Story book, coloring pages, removable puppet and free DVD! Great value and extended play time for kids! 5 different volumes / puppets available. Cow, Gorilla, Cat, Dog and Frog. All ages. Super Hero Henry is part of our new storybook series from our creative team at Small Fry Beginnings. 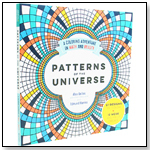 Beautiful illustration and cleaver writing that inspires and captivates children. Life lessons in every story. For ages 2-5. The perfect bedtime story. Twinkles & Luna is part of our new storybook series from our creative team at Small Fry Beginnings. Beautiful illustration and cleaver writing that inspires and captivates children. Life lessons in every story. For ages 2-5. A great bedtime story. Sunny Sun Sunshine is part of our new storybook series from our creative team at Small Fry Beginnings. Beautiful illustration and cleaver writing that inspires and captivates children. Life lessons in every story. For ages 2-5. 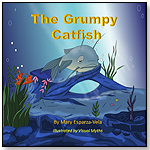 A book children will want to read over and over. Other products from RE-MARKS INC.
Mark the spot in your current book, hang a note on the fridge, or organize your papers with Re-marks magnetic page clips. Each clip is made of sturdy, UV-coated paper with a vinyl magnet, and can be used as a paper clip, fridge magnet or a staple, making both reading and organization fun! Page clips are collectible gifts at friendly price, so they're perfect for a register-adjacent impulse buy. — Syd Clarke, owner of Ali-Cat in Carrboro, N.C., told TDmonthly in a December 2014 interview that EyeLike Stickers: Halloween is one of their best-selling Halloween toys.